Add SiriusXM radio to your SAT-Radio Ready or XM Ready® Pioneer headunit or in-dash car stereo. With totally seamless integration, you get great sound quality and the convenience of surfing SiriusXM channels directly through your Pioneer stereo controls. Connect and control XM radio directly through select XM Ready® or SAT-Ready Pioneer in-dash car stereo. View XM channel information and artist and song names directly on the head-unit display. 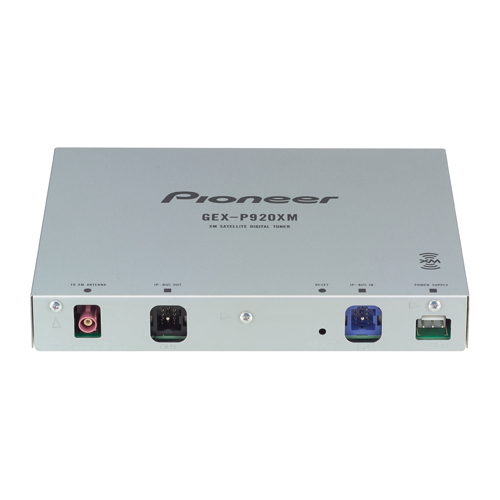 Includes GEX-P20XM Tuner, magnetic vehicle antenna, IP-Bus cable, power harness and pass-through for connection of an optional Pioneer CD changer.